Since 1993, TNT Property Maintenance Inc. has been providing the Kitchener and Waterloo areas with high-quality, beautiful landscaping design and installation. We are a landscaping, construction and maintenance contractor that offers unique design/build outdoor spaces, quality lawn and garden care, winter snow plowing services, and exterior repairs. As a family-based, independent business, we pride ourselves on being a part of the community in which we work. 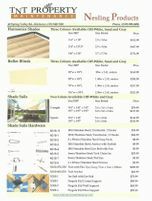 We offer excellent customer service and exceptional warranties on all our workmanship. Our clients get to know all of our team members by name. Our references will confirm that we are honest, reliable, dependable and provide prompt courteous service. Contact TNT Property Maintenance for your landscaping and property maintenance needs. 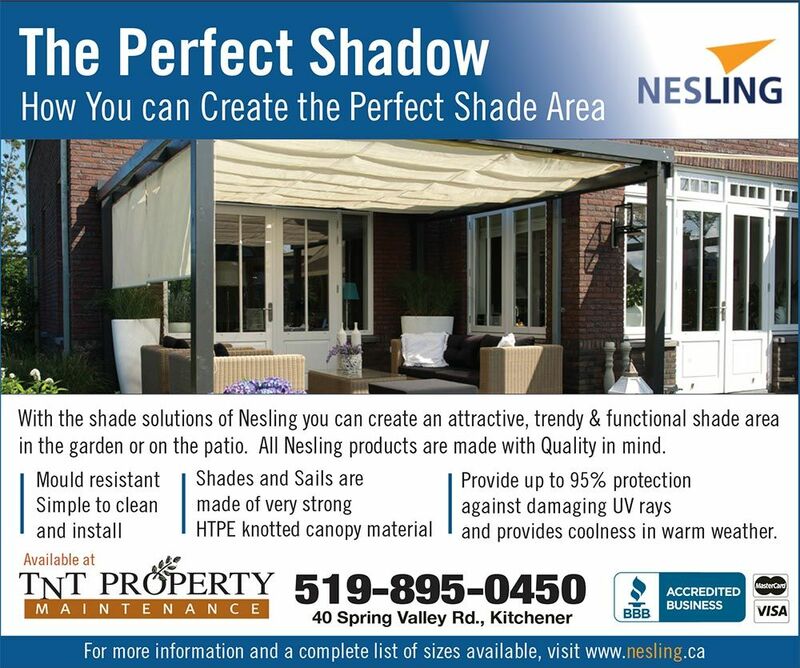 With the shade solutions of Nesling, you can create an attractive, trendy and functional shade area in the garden or on the patio. All Nesling products are made with quality in mind. For more information and a complete list of sizes available, visit Nesling. 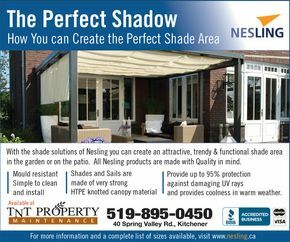 To see the Nesling blinds in a showroom, please visit Backyard Resorts Pool &Spa Supplies at 1373 Victoria Street N in Kitchener (between Natchez and Lackner). Sign up for our email newsletter! We promise to send you only the most important news in property maintenance, which will include: promotions to save you money, municipal rules and regulations concerning property, and "how-to" information.